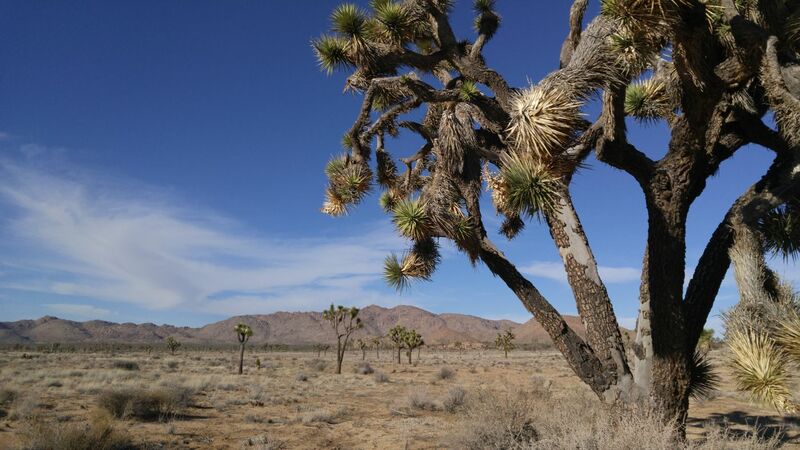 You don’t have to go to Joshua Tree National Park to see Joshua trees. You can go straight to Joshua Tree the city, a cute little community in the California high desert just northwest of Joshua Tree National Park, to roam among Joshua trees. 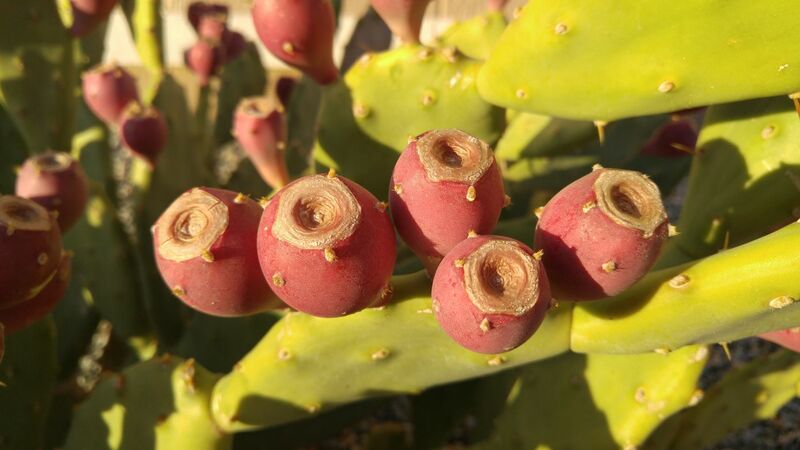 In Joshua Tree the town, you can hit a cafe or an antique shop, hang out like a local and with a Joshua tree. 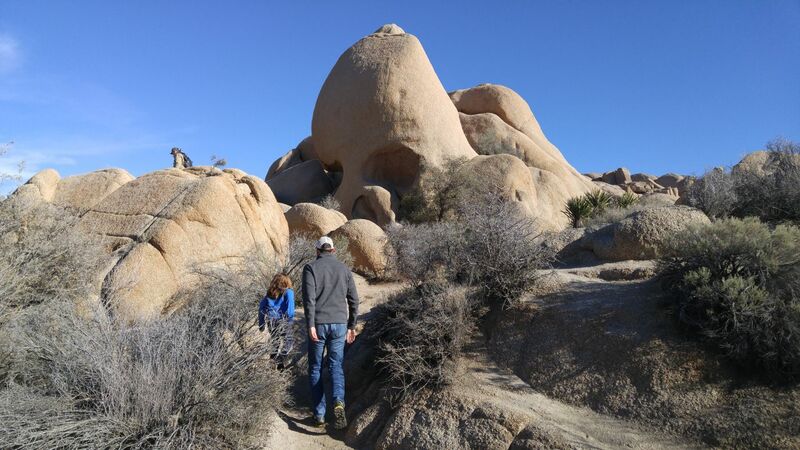 There are plenty in Joshua Tree, the census-designated place. 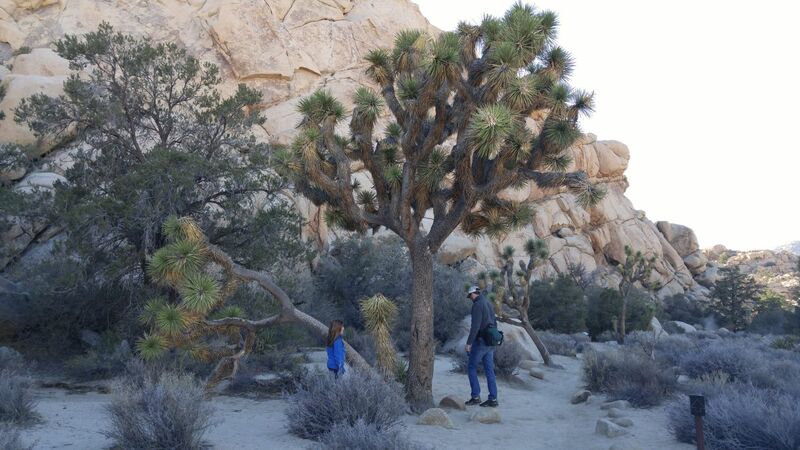 But it’s not the same as going to Joshua Tree National Park. There … you will be enchanted. 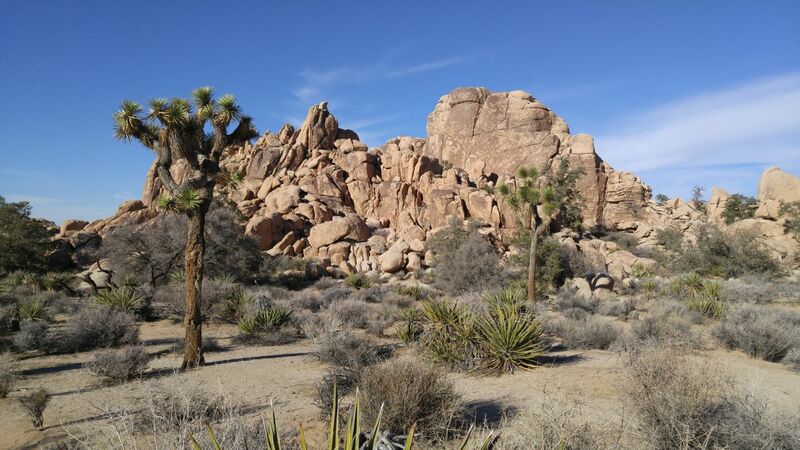 It took us two attempts to visit Joshua Tree National Park. Our first time around was in September en route to Arizona, still very (very) hot in the high desert — like 108 degrees hot. So we took in Palm Springs instead with hopes to return. Taking the I-10 east along the southern edge of the park, we headed to the East Valley to spend fall and early winter in the Sonoran. The desolate drive along Highway 62. 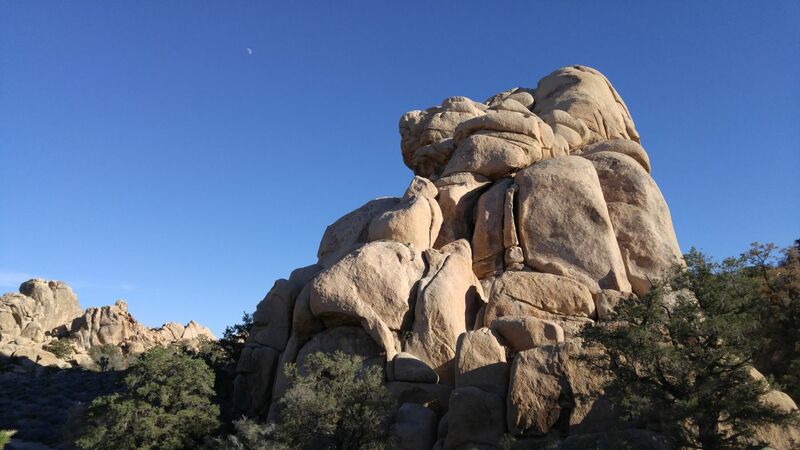 When the time came to return to California, we made a point to make Joshua Tree National Park part of the itinerary. This time, we took the back roads along the northern route on Highway 62, one of the most desolate roads in all of California. Driving this lonely highway, it became clear that we were entering a new terrain for us, kind of like visiting the Badlands in South Dakota. A desert, yes, but very sandy, reminiscent of our drive through the Imperial Desert near Yuma. The mountain tops were jagged in certain places, rounded and piled atop one another in others, yet all gave way to sudden, slanting slopes that spread out forever, only occasionally dotted with desert scrub. At times we felt as though we were off balance, that the ground below us was tilted. It made for quite an illusion. But for 100 miles or so, Highway 62 — with no services of any kind along its path — had a calming effect. There was literally nothing to be seen, except the earth and sky. 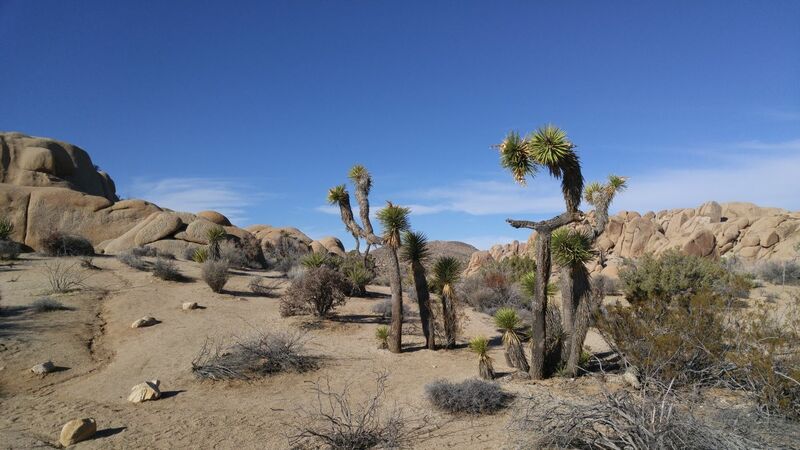 Our base camp was Twentynine Palms, California, a mere two miles to the north entrance of Joshua Tree National Park. This time, the temperature was much cooler — even cold sometimes. 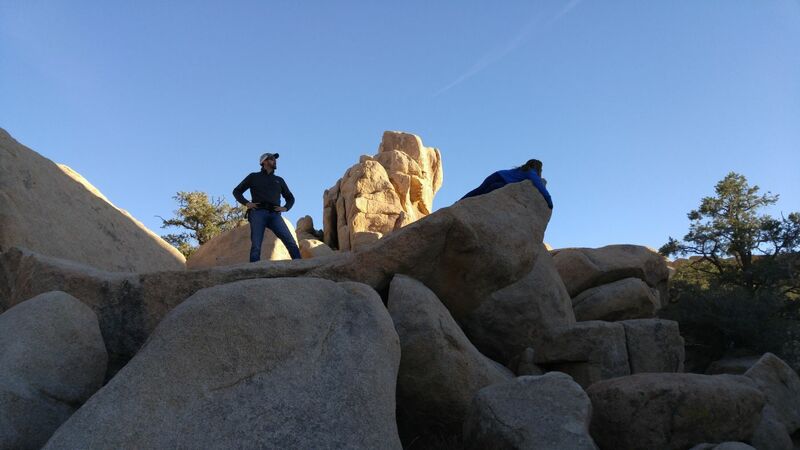 We worked a little, made home a little, and then made plans for a hike in the land of Joshua trees. 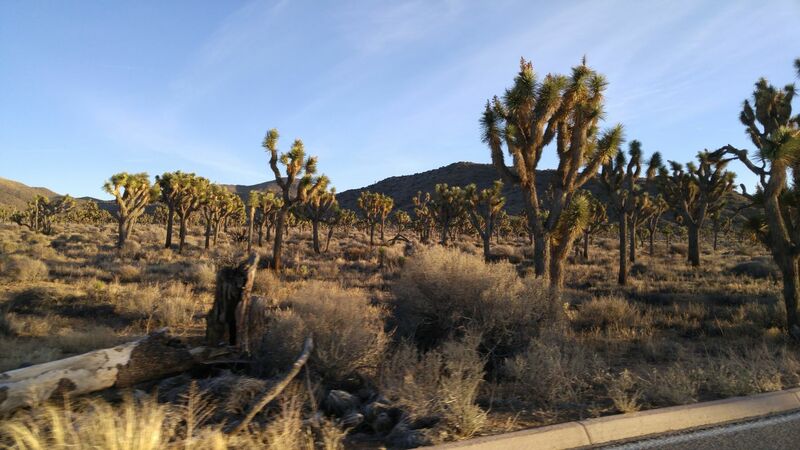 The north entrance to Joshua Tree National Park from Twentynine Palms. And this awesome kid who kind of photo-bombed my pic! 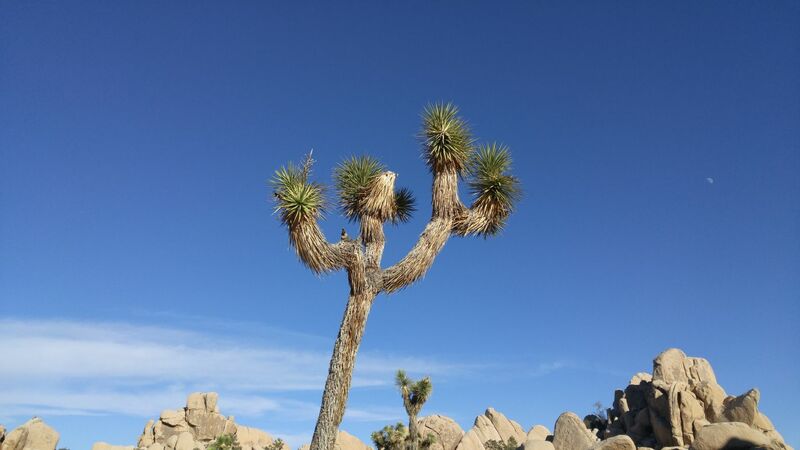 You might already know this, but Joshua trees aren’t trees actually, they are a form of yucca plant; they only act like trees, and they grow only in climates that support them. 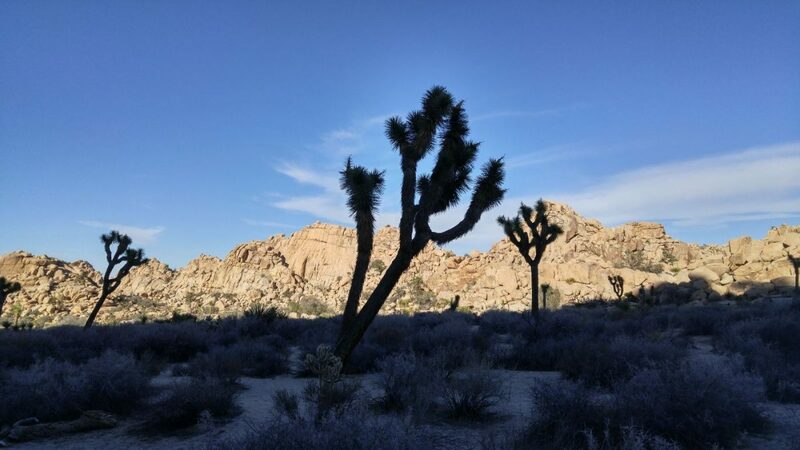 In this case, Joshua trees, as well as piñon pine and a variety of oak, prefer the high and cool Mojave Desert vibe, which characterizes the western part of Joshua Tree National Park at over 3,000 feet elevation. The other half of the national park is made up of Colorado Desert. 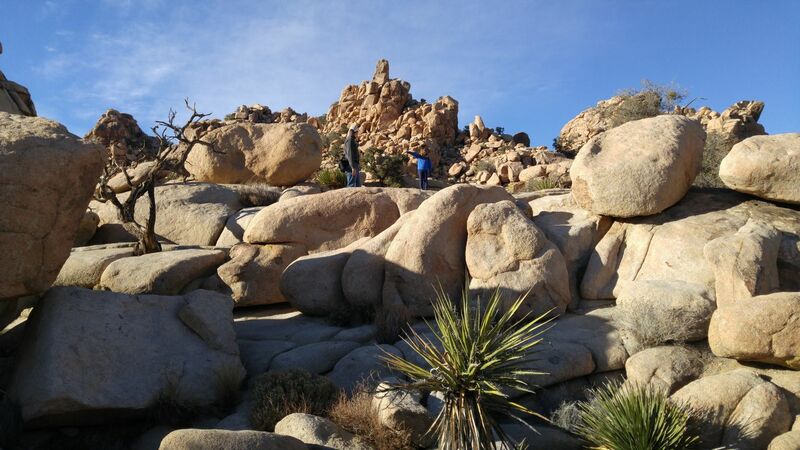 Below 3,000 feet elevation, this portion of Joshua Tree National Park is similar to the Sonoran in nature, where creosote bush, ocotillo, yucca and cholla scrub abound. 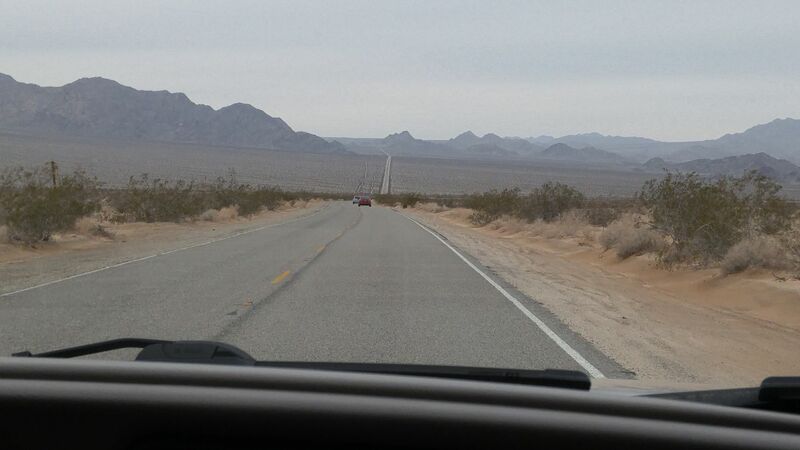 From the Twentynine Palms entrance, we focused on the Mojave side of things and it was spectacular! 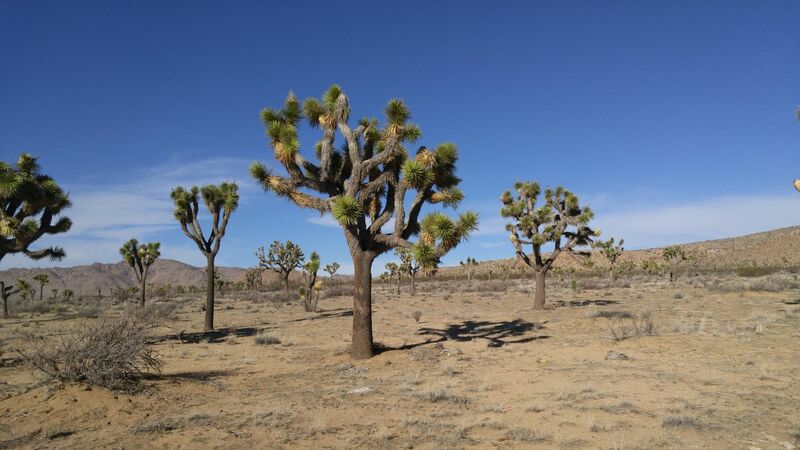 Immediately, this, an amazing and vibrant landscape, at times full of clusters of Joshua trees, and at other times very distant. Knowing very little about the park, we were surprised by things like famous Skull rock and the Hall of Horrors. 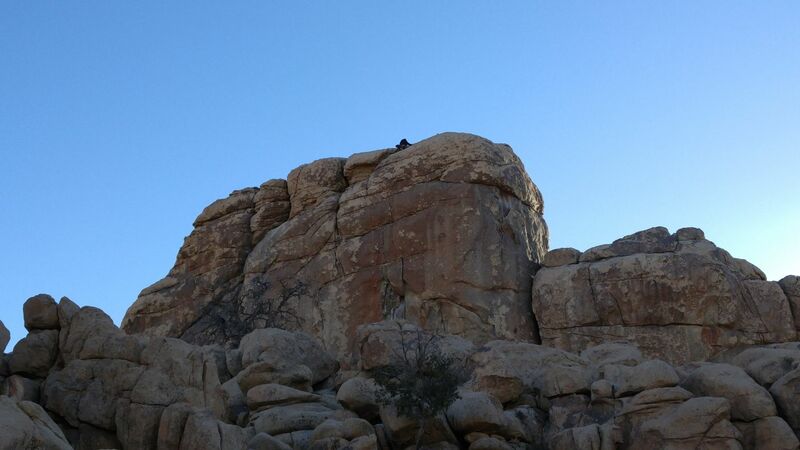 Nor did we know that Joshua Tree National Park is a favorite place for rock climbers. It was a beautiful day to hike and climb, and folks were everywhere. And we have a little climber of our own: Luna loves rock “hopping,” as she likes to call it. She made the bravest climbs of her young life so far, moving into the “climbing” category. Along a modest one-mile loop, we found plenty adventure in the chilly temps. It was such a great afternoon. One of the larger, fuller trees we found. On their perch after a big climb. And then there is more interesting stuff, like this. 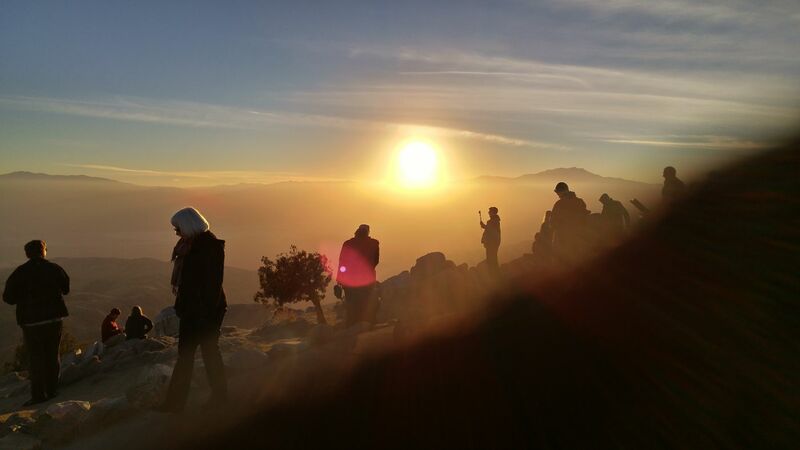 It became cold, but we wanted to do one more thing — head to Keys View for sunset. Did I mention that it was cold? But we managed. Here is what we saw. Looking south from Keys View through the smog from L.A. 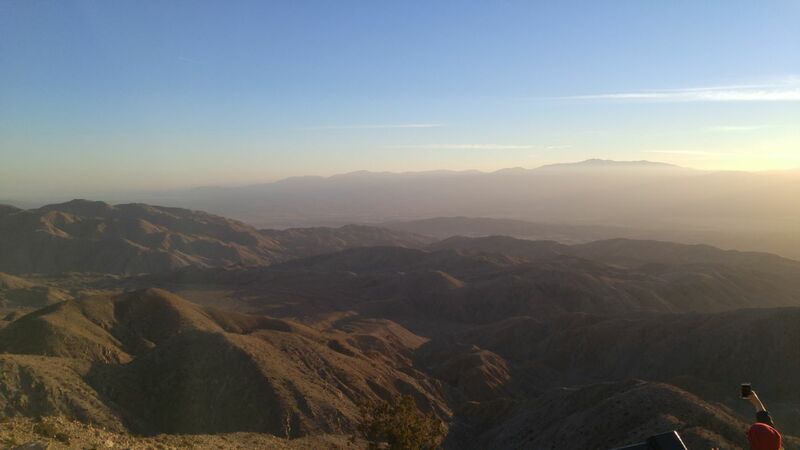 In the background is the Salton Sea, then Palms Springs and Desert Hot Springs. We loved it. But it was cold. Time to go home. We headed back to our temporary residence in Twentynine Palms, which is kind of a lonely place. 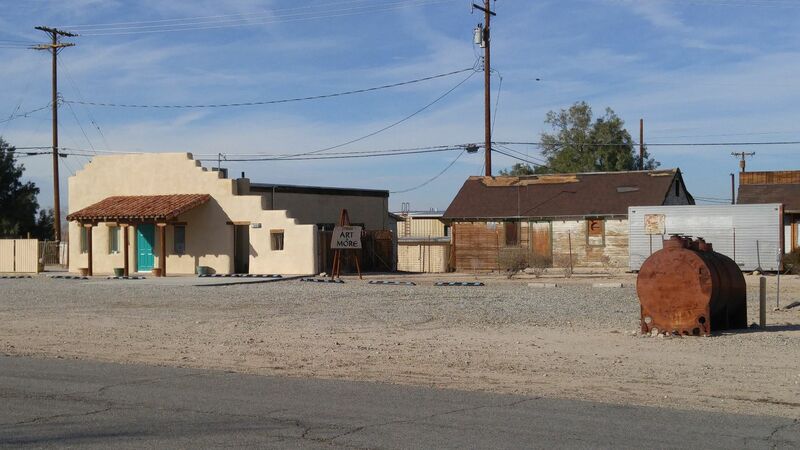 It literally is named for the 29 palms found during a survey of the area in 1852. 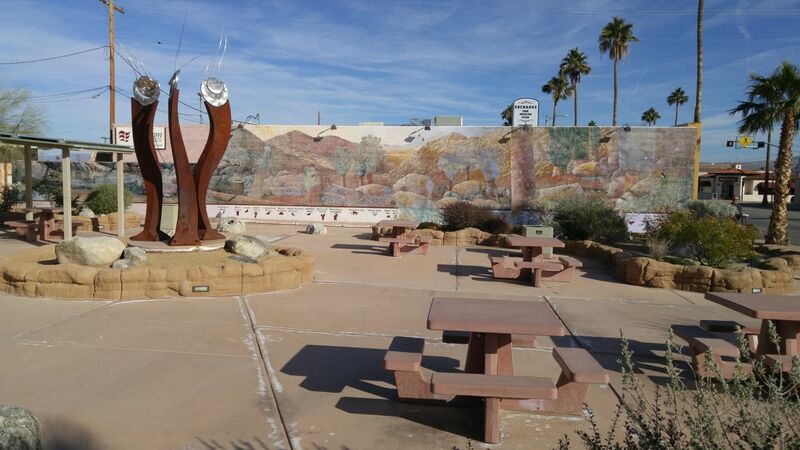 Legend has it that the original 29 palms may or may not have been planted by the Serrano Indians, and, for the record, there are many more palms present these days. Nevertheless, this community of over 25,000 is bound by two major roads, Highway 62 running east and west through it, and Adobe Road that runs north through the city to the Marine Corps Air Ground Combat Center. 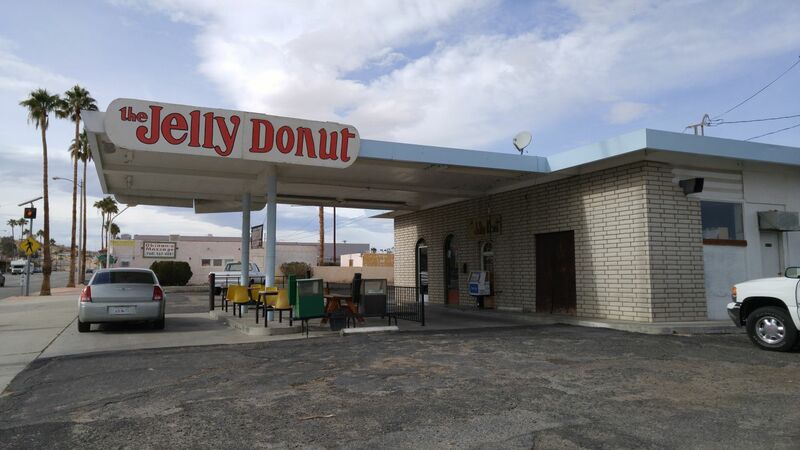 Twentynine Palms has mostly grown along these two roads, with pockets of homes right in the middle, or otherwise strewn along the desert. 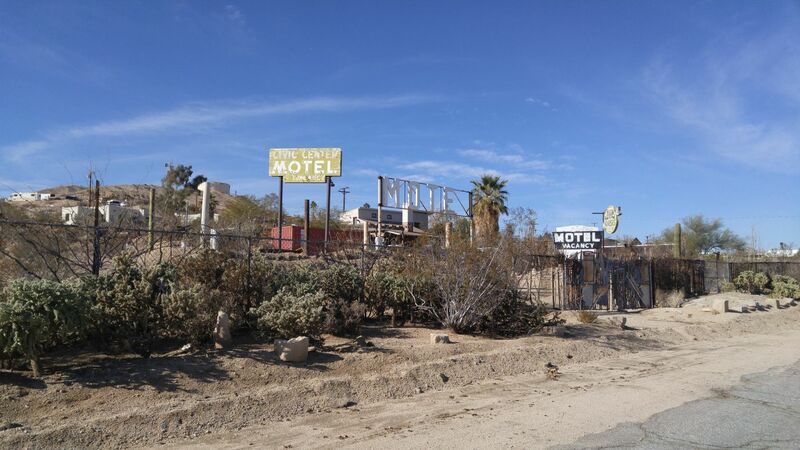 Life is not easy in Twentynine Palms, so it seems. Twentynine Palms is more like a service provider. It’s a place to go for visitors of the national park and for families to visit a marine. 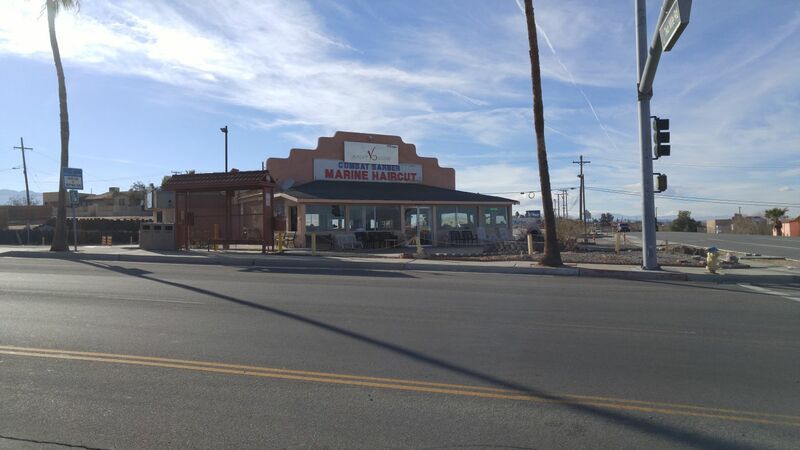 Every few blocks or so, one encounters a marine haircut barber, tattoo parlor and “spa.” Often it is a combination of all three. 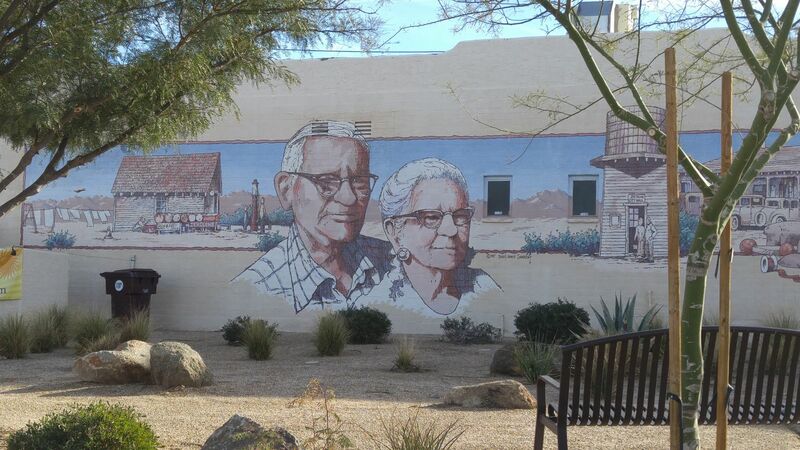 Twentynine Palms is also known for its murals, of which there are many. We found a doughnut shop, a pretty good pizza joint, a really nice grocery and some good Mexican restaurants. Barber on the hill. Twentynine Palms, CA. And there is a lot of cool use of scrap metal. 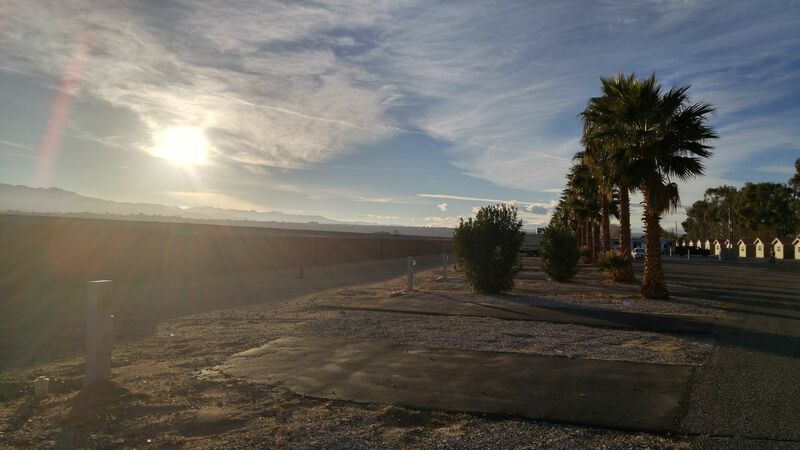 Staying at our RV resort made us wonder why or how anyone could sustain living in a place like Twentynine Palms. It’s a long way from nowhere. But humans can adapt to just about anything, and they do here. Everyone was really nice and just did their own thing. Waiting for the snowbirds, a view from the RV resort. 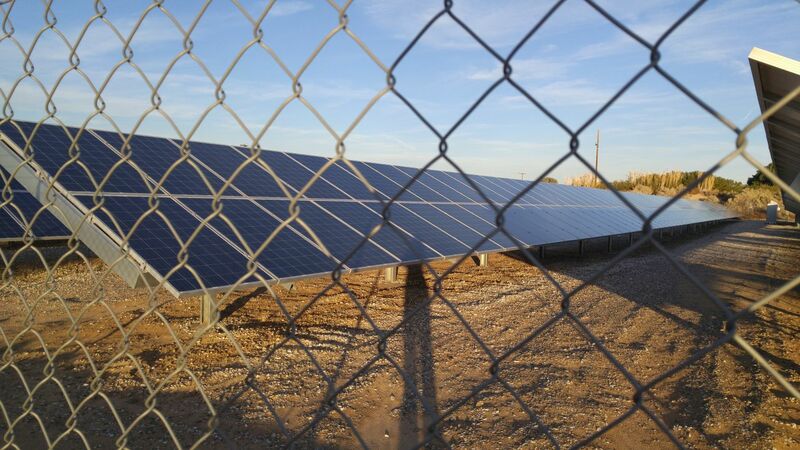 These solar panels provide power to the whole park, with extra credit! 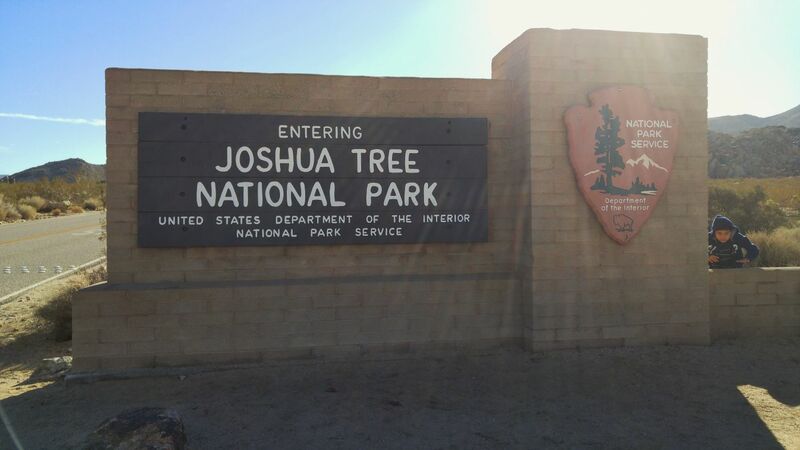 So we did it, we saw Joshua Tree National Park and it was a fantastic trip. The Southwestern United States continues to inspire us. We are so glad that we visited. Maybe someday we’ll camp in the park, rather than stay outside of it. But for now, this will do. It will linger in our hearts forever. 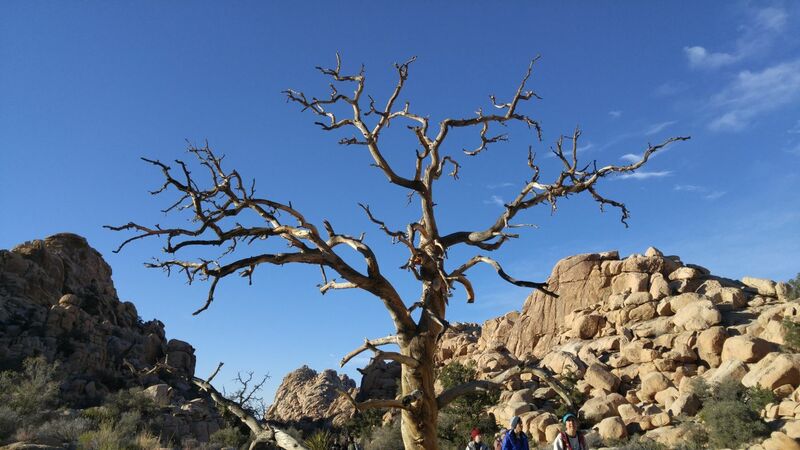 I totally understand your last sentence, that Joshua Tree “will linger in your hearts forever.” We feel the same way. 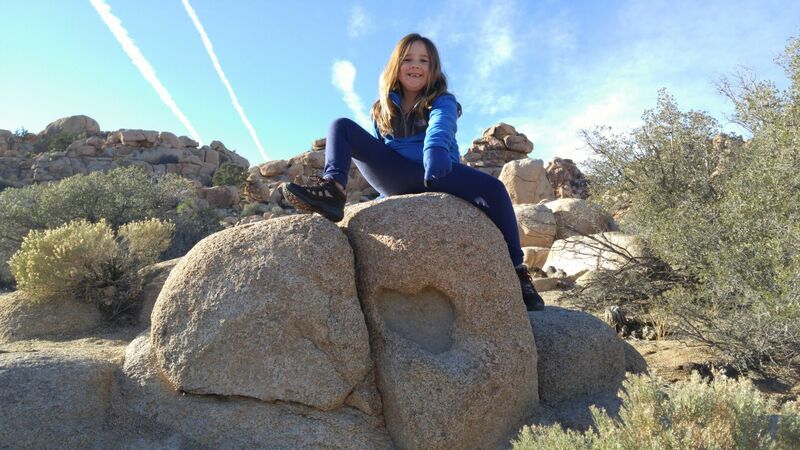 We went there in the fall of 2012, on a three week road trip that also included Death Valley, Manzanar Historic Site (very moving), Kings Canyon and Sequoia National Parks, Organ Pipe, and Chiricahua. 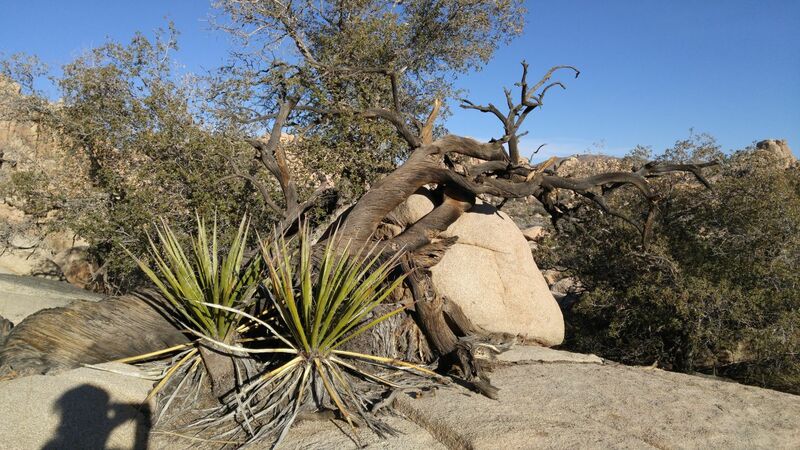 But it was Joshua Tree that lingered with us. In the fall there are very few people around, mostly retirees like us, and the weather is perfect. 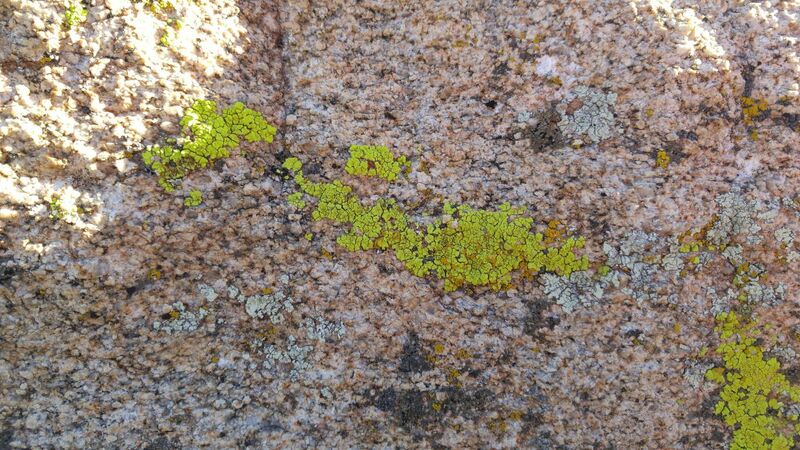 We didn’t do any rock climbing, but enjoyed watching others, and the rock formations themselves are something to see. I especially loved the gigantic field of cholla cacti that seemed to go on forever, and we took a walk through it. 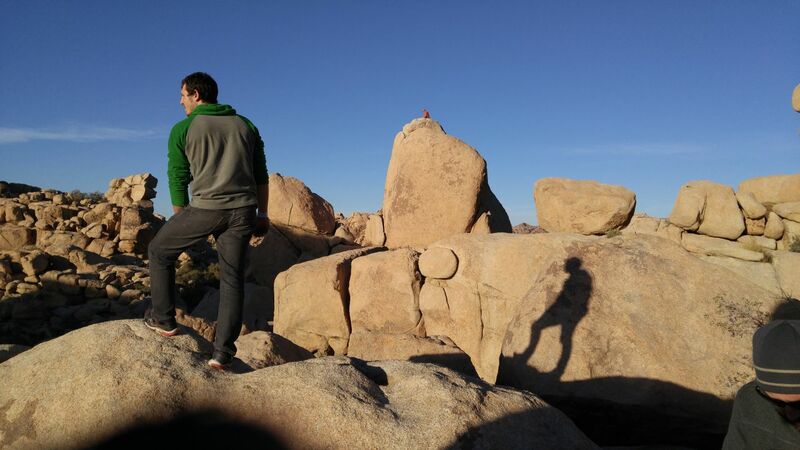 There is something so peaceful about Joshua Tree NP, and I hope we can return one day.